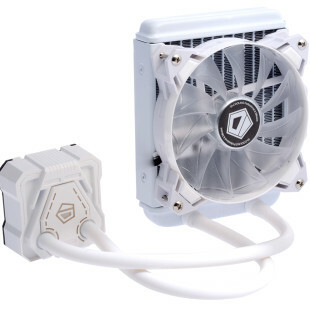 Creative Technology Ltd. has stormed the 2015 edition of the largest consumer gaming show in the world, also known as Gamescom, with five new products, four of which belong to the company’s new Sound BlasterX line. Here’s what you get – Sound BlasterX H7 and H5, Sound BlasterX G5, Sound Blaster Roar 2 and Sound BlasterX P5. 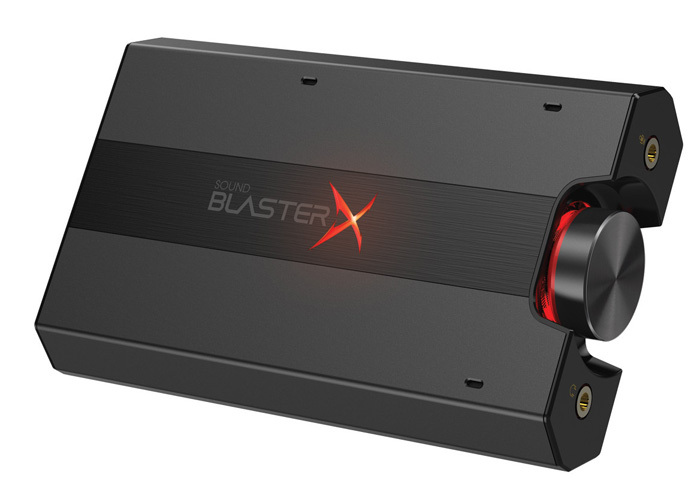 The SoundBlasterX H7 is the flagship in the new Sound BlasterX line of Creative devices. It is a professional-quality HD 7.1 headset that targets gamers and provides comfort, quality and the best audio experience possible. The headset supports USB connectivity for high definition lossless digital audio which includes 7.1 surrround sound for immersive gaming and offers a flexible reinforced steel headband, a light and durable aluminum earcup bracket, 50 mm FullSpectrum drivers, a detachable noise cancelling microphone and more. 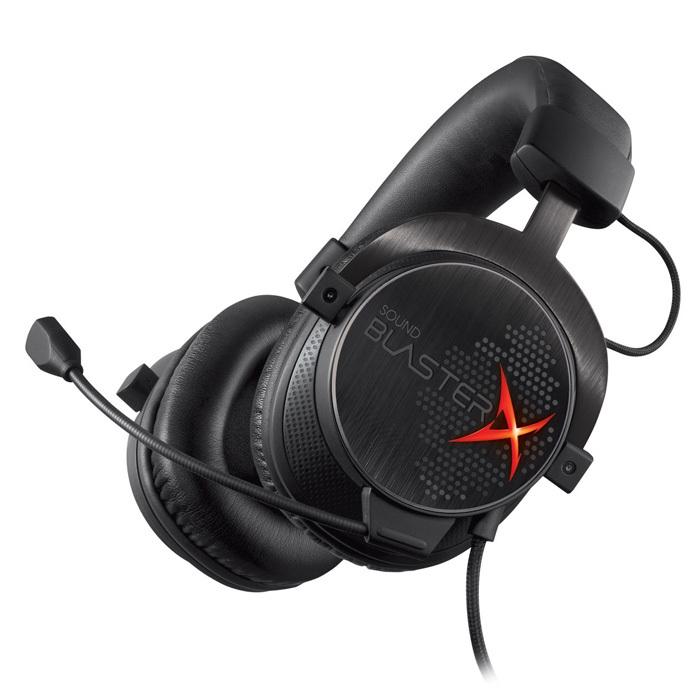 The H5 is the professional analog headset variant of the Sound Blaster H7 and when compared to the H7 it lacks USB connectivity and backlit earcups. The H7 will sell for USD 159.99 while the H5 will retail for USD 129.99. The H5 will be on the market at the end of September 2015, while the H7 will be available in November 2015. The Sound BlasterX G5 is a 7.1-channeled external sound card that has a built-in headphone amplifier. It comes with built-in SB-Axx1 multi-core chipset for hardware accelerated SBX Pro Studio enhanced audio and transforms even basic stereo into 3D positional surround sound on your headset. The Sound BlasterX G5 also supports multi-channel content, delivering true 7.1 audio for ultra-realistic surround sound. This card offers USB plug-and-play functionality, 120 dB DAC for 24-bit/192 kHz playback, cross-platform connectivity, a USB port for easy connectivity to other devices, integrated volume and audio enhancement controls and more. 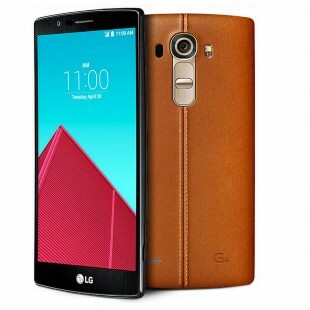 The G5 will be on the market in November 2015 and will sell for USD 149.99. 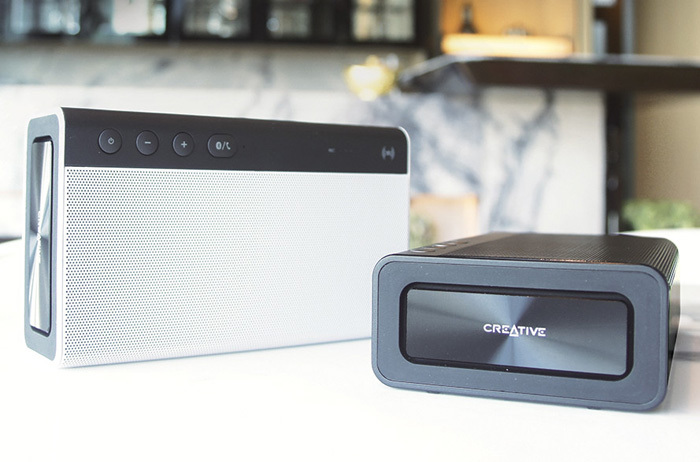 The Sound Blaster Roar 2 is the successor of the Sound Blaster Roar portable Bluetooth wireless speaker. The new device does not keep anything from the Roar and now comes in a smaller and lighter chassis than before. Despite this the Roar 2 keeps the same five speaker drivers, the same electrical design and the same 8-hour battery but this time it is 20 per cent smaller and 10 per cent lighter than before. The speaker features an integrated MicroSD WMA and MP3 player, an integrated voice recorder, speakerphone teleconferencing, a dual-purpose battery, USB audio with Sound Blaster Enhancement, NFC-enabled Bluetooth with multipoint and HD audio codec support and two features not found in the original Roar -increased flexibility with additional placement and acoustic options and beautifully machine-finished pulsating passive bass radiators. The Roar 2 is available now for USD 199.99. 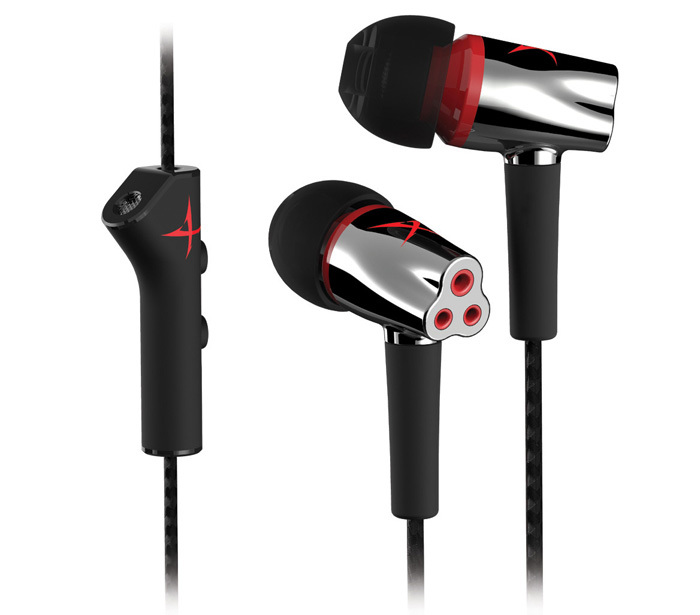 Finally we have the Sound BlasterX P5 high-performance in-ear gaming headset. It comes with a titanium-coated diaphragm, custom-tuned 7 mm FullSpectrum drivers, a high-sensitivity, low impedance design, a high-performance inline microphone with call and playback controls, a premium build with advanced noise isolation, three sizes of soft, spiral-ribbed silicone earbuds and a carrying case. The headset will be on the market by the end of October 2015 for a price of USD 69.99.